Violinisto is a one man shop in Seattle where Doug Yule builds and restores violin family instruments using methods that have largely remained unchanged for 300 years. From the initial choice of wood to the final set up, Doug completes each step of the process himself. This differs significantly from the typical production situation where one person does one operation over and over but has no involvement in any other part of the instrument and consequently never develops a working knowledge of the individual pieces of wood that will finally become a violin. Currently the shop is closed while Doug is in Southeast Asia with his wife. When he is in Seattle, he offers several models of violins based on the work of early Italian masters such as Stradivarius, Guarnari del Gesu, Sancta Seraphin, Testore, Castello and Joseph Filius Andreus. 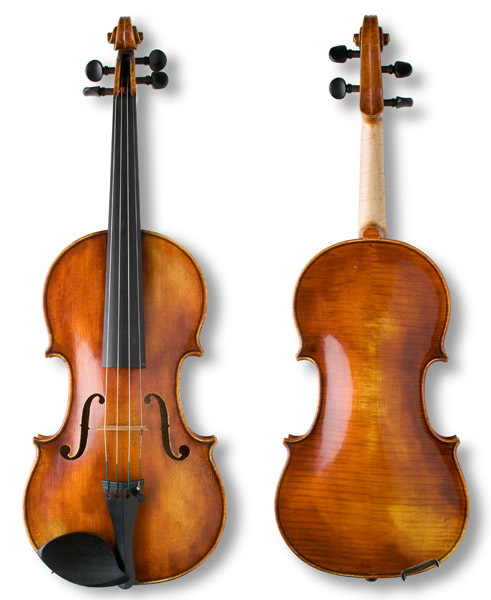 Four models of violas are available and one cello model has been developed. 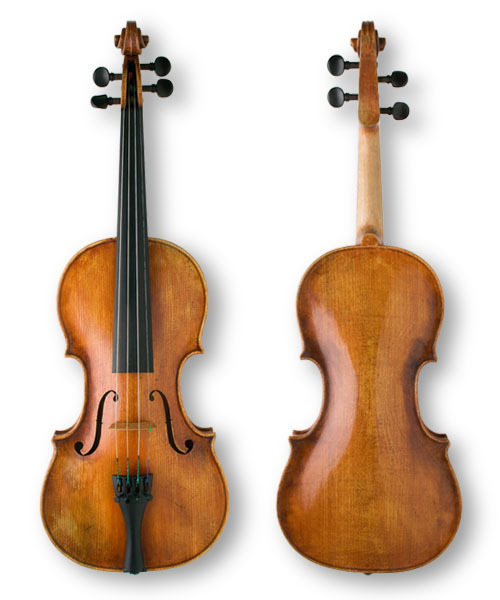 A 7/8 size "Ladies Violin" based on the Del Gesu "D'Egville" can be built for small hands. Instruments that are available to play immediately can be seen at Lasley Violins in Ballard. In 2017 it will again be possible to commission one to be built to accommodate specific goals. The shop occasionally sets up, services and restores instruments. Lily is based on a scroll attributed to Castello. The body is taken from another maker of the same family. Ingmarie is a Testore model. Emma, based on the del Gesu Kochanski. 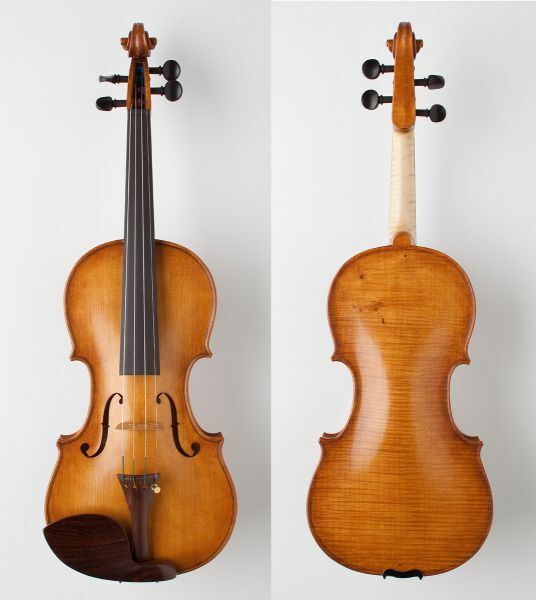 Beatrix is taken from the1689 Guiseppe Guarnari 'Filius Andreae' violin that is in the Civic museum in Cremona. The body is 353 mm long. Upper bout: 164mm. Center bout:110mm. Lower bout:202.5 mm. The top is air dried European spruce. The back is old European maple. 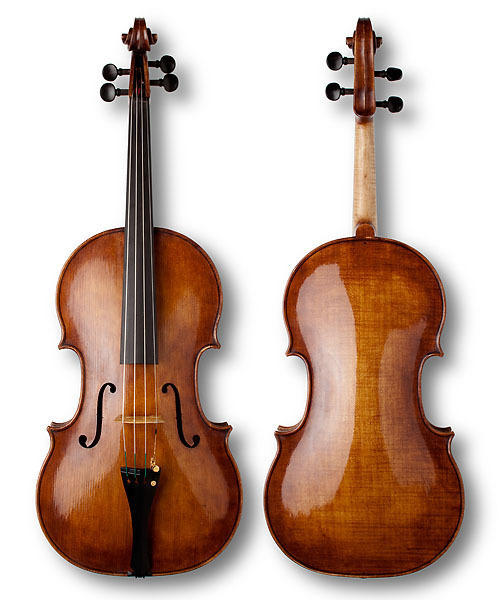 Bronwyn is based on a Joseph Guarnerius viola. 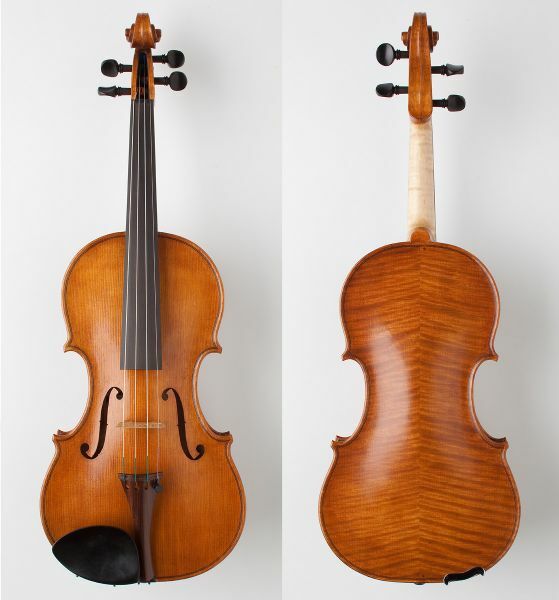 Rather than working from the outline of an existing instrument, this instrument is laid out from the mold shape using a classical geometric system of proportional measurement described by Francoise Denis, a French violinmaker. The table is a single piece of old spruce from Germany and the back is one piece of European maple. 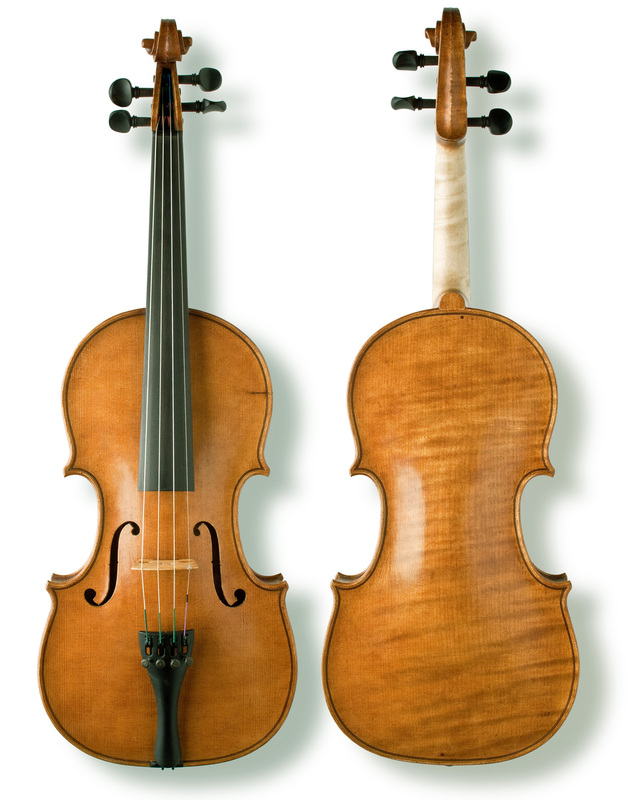 Diana is based on a Testore violin from1740. The body is 355mm long, but the waist is very narrow. The table is German spruce and the back is very old Red Maple from North America with only a trace of figure. The sound is big and nicely balanced. The scroll is typical of Testore in that the back of the pegbox is unfluted.